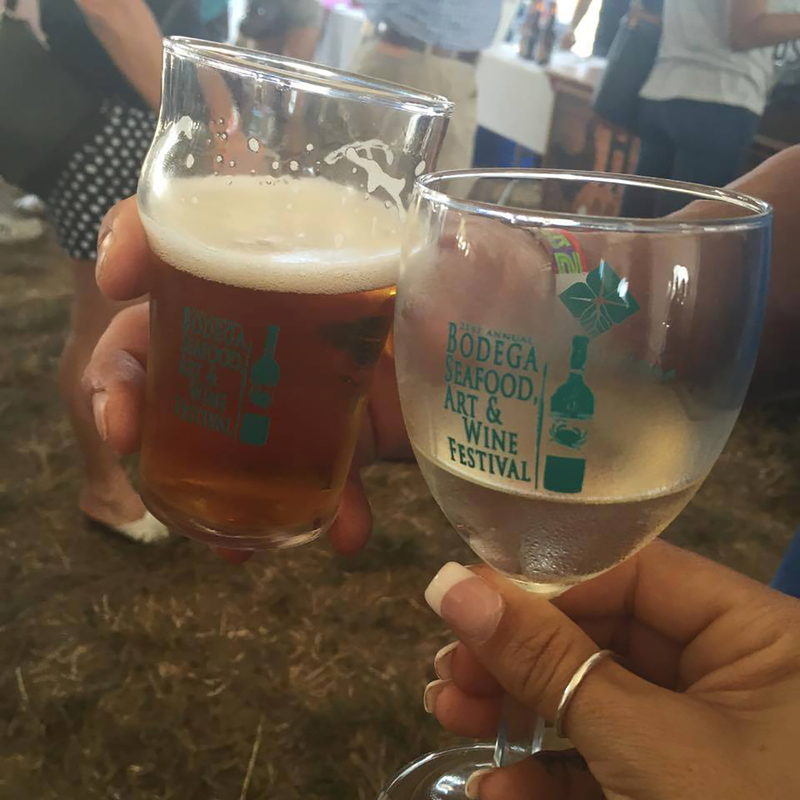 Thank you for your interest in participating in the festival Wine, Cider and Microbrewed Beer Tasting! We will accept companies into the Tasting up until a week before the festival! Below is the information on how the tasting works, and a link to a Participation Form is below in doc format. Just download, fill it out, save and email back. TASTING LOCALE AND SET UP: The Tasting is held in a large tent near the festival entrance. Each company gets half of an 8′ table which is covered in linen cloth. There is a sign at each location with your name and logo. You are welcome to bring any sort of promotional materials you choose. Most companies are located along a tent wall so it may be possible to hang a banner behind you. PARTICIPATION: Participation is simple. The tasting is divided up into 2 shifts per day: 11-2 and 2-5 (4 on Sunday). You choose any or all of the shifts to come out and pour. Or, if you would like to simply donate you can have one of our excellent volunteer staff pour for you. We can even pick up your product if your location is in the county. We provide tables and chairs, openers, ice, buckets, water, signage: everything you need. There is no fee. Your wines, ciders or beers are all you bring. If you are a brewery distributed by Morris, Columbia or Mesa, they will deliver your product to the site and, in some cases, provide pourers. We also have a large pouring staff to assist or pour for you if you can’t attend but would like to donate. By being one of our participating companies you are listed on the festival postcard (40,000 distributed and direct mailed), the website, as well as in our festival program. We also are big Facebookers and publicize our tasting there as well. 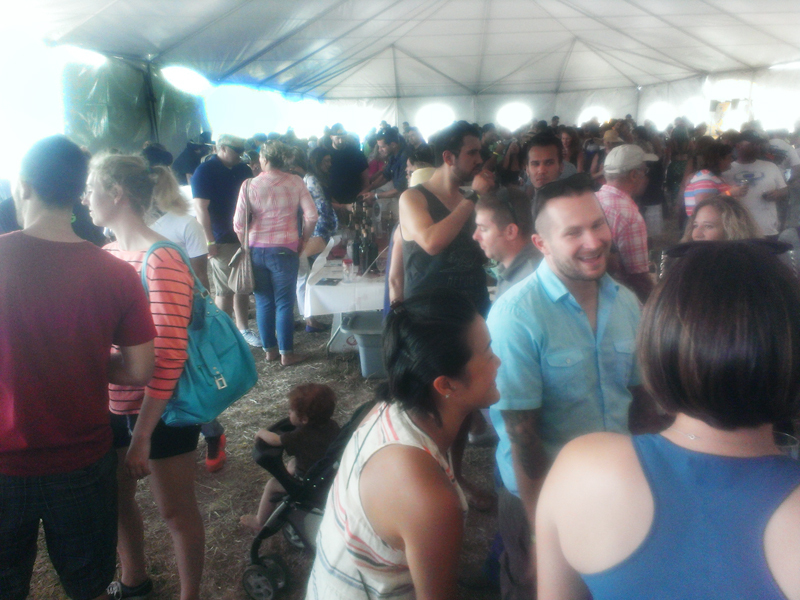 PRODUCT SALES: We have a separate area of the Tasting Tent which is designated for wine/beer/cider sales. If your company is interested in sales you must obtain a Type 81 license from the ABC. We ask for 20% of sales after the festival is over. We are happy to work with you if you have questions. WHO COMES TO THE TASTING? The festival attracts 8 – 10,000 people annually, and about half come to the tasting. They are an intelligent, food, art and drink-loving crowd. The site, less than a mile from Highway One and the Sonoma Coast, is famous for being the location for the film “The Birds”, so this event attracts an abundance of tourists as well as locals out for a weekend of fun. WHO IS THE BENEFICIARY? A portion of festival proceeds benefits Stewards of the Coast & Redwoods, the non-profit working with the California State Parks in the Russian River region, and the Bodega Volunteer Fire Department, so your donation and participation goes to two great organizations! Click below to submit a PARTICIPATION FORM. SUBMIT YOUR PARTICIPATION FORM BY JUNE 28TH TO BE INCLUDED ON OUR FESTIVAL POSTCARD! WE PRINT 40,000: DIRECT MAIL 18,000 TO PREVIOUS FESTIVAL ATTENDEES AND DISTRIBUTE THE REST THROUGHOUT THE COUNTY.